Located in the heart of theÂ Old Oakland district, Liege is aÂ quintessential lounge thatÂ features world class DJ talents. Liege promises the experience of ultra exclusivity, spectacular production and quality all around. Liege also features a variety of music formats Â and offers VIP Seating, along with a full-service bar stocked with ultra-premium tier spirits. People come with really open minds and for one reason only , because there’s no better place ,because we party for a living. Long-running bar established in 1916 offering drinks, billiards & pinball in a no-frills space. Beers on tap, cocktails, food-truck menus & sports TV in a chill bar with a patio & rooftop deck. Renovated, industrial warehouse offering eclectic small plates, cocktails & songs spun by a DJ. Lively space with a dance floor for line dancing & live music, plus a bar for drinks & casual menus.Overland is Oakland's Only Country Bar. We specialize in Country Music & Dancing, down-home cookin' and lots of sports on the TV. 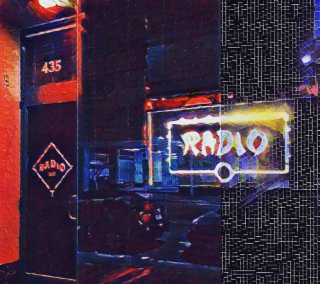 Late-night watering hole with creative cocktails & regular live music in a speakeasy-inspired venue. Conveniently located at the intersection of 66th and Telegraph, we are just over 1 mile from UC Berkeley campus and are located close to the Ashby and Rockridge BART stations. 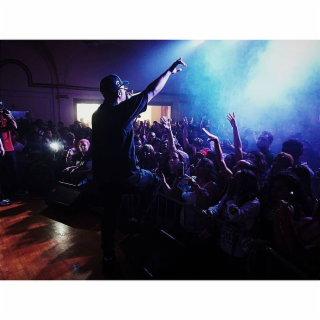 We cater to a diverse and dynamic crowd! 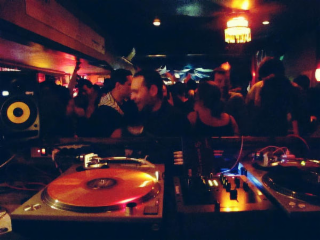 In addition to great staff and delicious libations, we have dancing and live award winning DJ's! We also have live interactive trivia and two pools tables! Come by and check out what the buzz is all about! 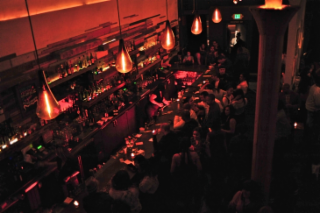 Located in the heart of Oakland’s historic “Jack London District”, The Night Light is a beautiful neighborhood bar at the street level with an intimate music venue upstairs, hosting national deejay’s, comedians and live music 365 days a year. Funky, rollicking joint with hanging lanterns featuring cocktails and DJs playing a range of music. 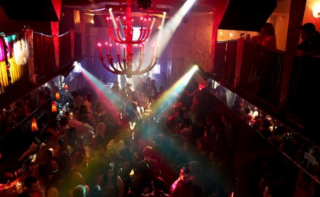 CLUB 21 NIGHTCLUB IS NORTHERN CALIFORNIA’S PREMIER GAY AND LESBIAN LATIN NIGHTCLUB. Club 21 is the San Francisco Bay Area's Number #1 Gay Latin Nightclub located in Oakland just 15 minutes from San Francisco and an hour from Sacramento and San Jose. The best place to party during San Francisco Pride and Oakland Pride. Voted Best Gay Bar and Nightclub in the San Francisco Area several years in a row! Located in Uptown Oakland just around the corner from the Paramount Theater with 6 full bars, great friendly staff many of them have been with us for years so you know it's a great and fun place to work! 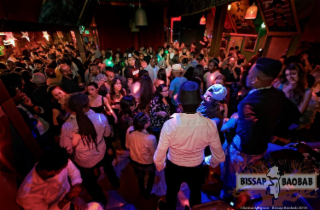 Club 21 features the San Francisco Bay Area's longest running weekly Latin parties such as Latin Explosion on Friday nights and La Bota Loca on Saturday nights as well as special events which features our yearly contest such as Miss Hispanidad Gay, Mr. Gay Latino, Mr. Gay Vaquero, Nuestra Belleza Gay Mexico. We are 100% Gay owned and operated and we proudly supports the LGBT community and all of our straight friends. Over the years the Club 21 & Club BNB have given hundreds of thousands of dollars back to the community from fundraisers to sponsorships. We are a major sponsor of Oakland Pride and produce the Oakland Pride Latin Stage every September in addition we produce the International Stage at San Francisco Pride every June as well. You can always catch our staff at most LGBT events in Northern California including San Francisco Pride, San Jose Pride, Castro Street Fair, San Francisco Latino Gay Pride, Sacramento Gay Pride, and many more. Club 21 is the only Latin Nightclub with it's own APP called the Club 21 APP and is a great way for our customers to get info on our upcoming events, get promo inf and enter contest. 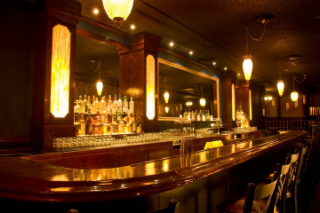 Sleek, bi-level bar & lounge featuring a striking bar, vintage-chic decor & vibrant dance floor. Era is a 5,000 sq ft hub of urban art, live music, and boutique cocktails in a sophisticated and beautiful vintage-modern setting. 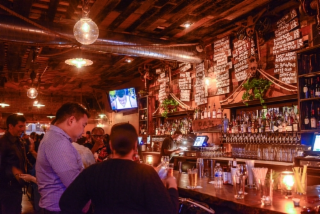 In between the vaulted, hand-plastered ceilings and reclaimed 1920s hardwood flooring, patrons can enjoy the comfort and luxury of antique leather furnishings or post up at the thirty-five foot steel and concrete bar while sipping fancy, handcrafted libations. The mezzanine level includes a more intimate bar experience amidst a well-curated collection of modern and urban works by local artists and beneath a stunning a hand blown glass chandelier. At 10pm Era transforms into Oakland&amp;rsquo;s premier nightclub where a vibrant crowd dances the night away to beats and jams provided by cutting-edge local DJs playing hip-hop, R&amp;B, Soul, Reggae, Dancehall, Soca, House, Breaks, and everything in between. Venue Oakland is one of Oakland’s most prestigious and historic buildings. Built orginally in the 1920’s as an Elks Lodge, Venue has been remodeled and rebranded as a popular nightlife and tourist destination offering clients high a truly unique experience. 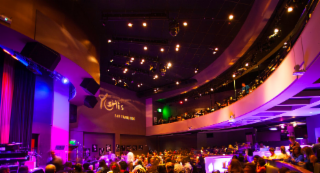 Located in the heart of Oakland Historical Downtown Theater District, this 24,000 square foot architectural landmark hosts every type of major event and performance from across cultural spectrums. 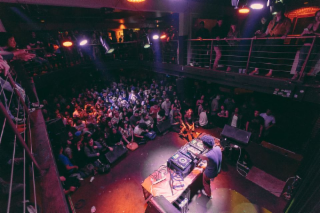 Venue Oakland boasts three live performance venues under one roof: the world-famous Grand Live (500+ capacity), Vinyl (300+ capacity) and Crate (100+ capacity). Massive building-wide parties see thousands of revelers each weekend and annual events such as (Halloween) and New Year’s Eve are well documented in the annals of nightlife folklore. We love to party and you do too! Let us host your dance parties, community events, DJ nights, private/public events, fundraisers, screenings, weddings, birthdays, art parties, happy hours, hoedowns, and karaoke throwdowns. A richly diverse gathering space, NKC showcases live and electronic music from all genres – rock, dance, hip hop, reggae, dancehall, salsa, African, world beat – as well as multimedia art events and video/film installations. The multi-use venue boasts state-of-the-art lighting technologies with custom-built sound systems for both live and electronic music. 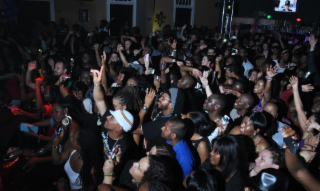 The club caters to performances of all types; from hot shows with the newest buzz bands to intimate engagements with the world’s biggest artists. CLUB BNB IS PART OF THE BENCH AND BAR, INC. AND CLUB 21 FAMILY, NORTHERN CALIFORNIA’S PREMIER GAY AND LESBIAN NIGHTCLUBS. 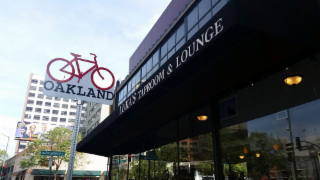 The Club BNB is part of Oakland’s newly revitalized Uptown District near the recently renovated Fox Theatre. 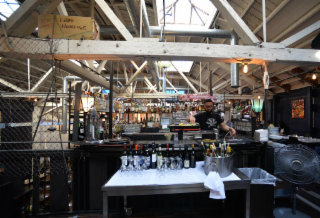 The location features 6 full bars, multiple dance floors, billiard’s room, smoking lounge, second floor VIP lounge, state of the art sound and lighting systems, fully air conditioned, ample street/garage parking and less than ½ block from BART. The Bench and Bar, Inc. has been an Oakland landmark for over 35 years. 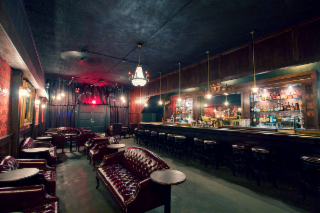 Originally opened by a Judge and Attorney and as a twist, named the club Bench and Bar. The club has relocated two times and is now the largest gay and lesbian nightclub in the Bay Area. With a laid back, yet distinctly cosmopolitan, worldly vibe which upholds the concept of an African village, we feature weekly, monthly, and special events: from DJ parties; to live music and dance performances; to French language and World Cup meet-ups; to independent film screenings; art exhibitions; spoken word and poetry, and much, much more. Oakland’s Little Slice of Paradise. After work, take a vacation from the busy streets of Oakland without the five-hour plane ride! Inside The Kona Club, bamboo walls reflect the warm and cozy hues provided by our genuine blowfish lights, just as the moon reflects off the Pacific. In fact, every surface has something interesting on which to feast your eyes — that is, when they aren’t glued to our life-sized hula girl and her gyrating hips. If it’s a quiet game you seek, our coin-operated pool table is nestled in its own hide-away room. 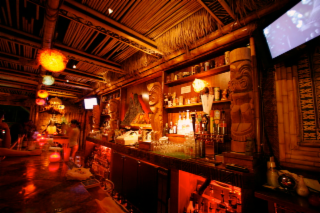 If you prefer to lounge at the bar, feel free to watch the nights sporting event, your favorite retro Hawaiian movie, or an episode of Magnum PI on one of our three television screens. Weekends at The Kona Club are when the locals really come out and party. Our eclectic jukebox featuring everything from Martin Denny to Van Halen and Mos Def to Depeche Mode, attracts an equally diverse crowd. Bond with the person next to you over a Pina Colada and an A’s game or sway shoulder to shoulder as you shout out the chorus of “Don’t Stop Believin’.” Our smoke-spewing volcano erupts without warning, just as Kilauea of the Big Island, and covers the bar in a mysterious, warm glow: The perfect backdrop to a great night. Designed with a bohemian interior that includes reclaimed wood, tile, fabrics and bold splashes of color, The Layover features a full bar and lounge. We sell the artwork, lamps and furnishings that you see, helping to maintain a fresh look and experience every time you visit. 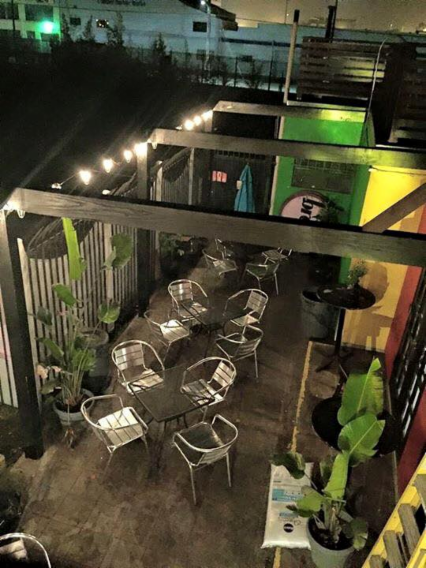 Live reggae, roots & world music are featured at this intimate venue with an outdoor patio. 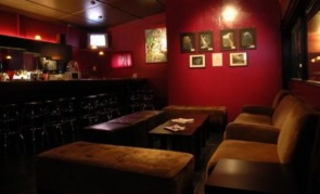 This intimate venue books national and local bands and comedians: Acts like Mos Def, Dave Chappelle, Ra Ra Riot, Kid Sister, and Elephant Man have performed on The New Parish’s small stage since it opened in January 2010. The club has a balcony, exposed brick walls, a back patio, and barbecue served for late-night munchies. Lounge 3411 offers a diverse range of services... cultural, entertainment and recreational... whether you're looking to meet new friends or just get away from it all.Mellow cocktail lounge with DJ’d music & live acts, plus karaoke, sports & movie nights. 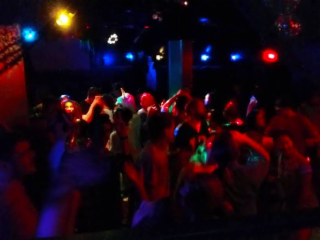 Great way to spend your night dancing away in the 2 dance floors - which is well equipped with Premium Sound quality. Also has a great food choices especially the Sunday Brunch!